What as a Durama Doll and Poppy from Trolls got to do with being an Entrepreneur? Comfortable dealing with rejection? Love to fail? Great at embracing uncertainty? Find out how to build ‘bouncebackability’ for you and your business. Mary Barrett, Premier NLP Growth Mindset Coach, Trainer and Hypnotherapist. 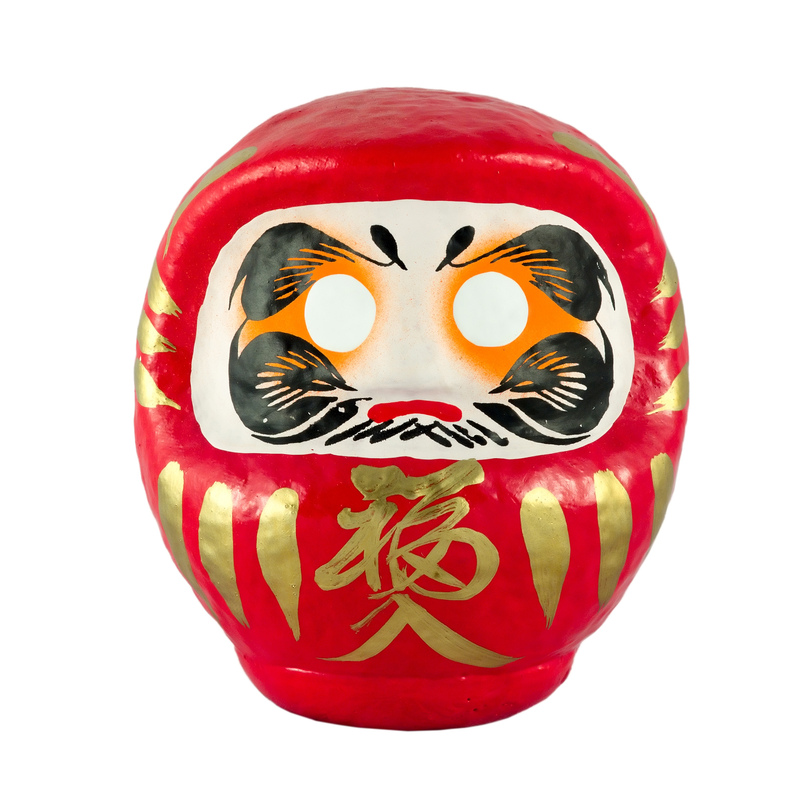 One of the most popular talismans of good luck in modern Japan is the armless, legless, and eyeless Daruma doll, or tumbling doll. It is made of paper mache and it is weighted on the bottom so it always stands up, even when pushed. It’s a symbol that has the meaning of standing up positively even if failing, disappointment or rejection. It demonstrates building persistence and resilience to keep ‘bouncing back’ until you reach your desired goal. When you receive your Daruma Doll you have to paint one eye when you have clarified your goal and when you achieve your goal you paint the second eye. As an Entrepreneur you have to develop the skill of extreme resilience and the empowering mindset of ‘Bouncebackability’; It is a critical ingredient of success. When you are running your own business, not being able to deal with a myriad of disappointments, perceived rejections and failures can really have a major impact on your personal performance and therefore your business results. The resource of being ‘bullet-proof’ and being persistent in the face of adversity is paramount to leading yourself and your team through the ongoing challenges of being self-employed. It’s interesting that we are born with a natural ability to enjoy the unknown, explore our new worlds and constantly take risks. Imagine a new toddler, learning to walk and seeing the world for the first time from a new standing up perspective. Sit in an A&E department and just watch the number of little children arriving with big bumps on their heads demonstrating that every day is a day of discovery and play. It doesn’t stop them from taking risks in the future, it just develops their ‘bouncebackability’. And then as adults, we have one tiny rejection from a relationship, a potential customer and we run away and hide, lick our perceived ‘rejection’ wounds and maybe hesitantly if ever, try again. We can learn from the popular kid’s movie Trolls as a great example. When Poppy is ready to head to Bergen Town by herself to rescue her friends who were kidnapped by Chef she sings an upbeat and motivational ‘I won’t give up’ song, despite being nearly devoured, poisoned and digested by monsters. For those of you who already know it (being a mother of two young children I know it well!). I defy you not to sing it and feel more positive about life. I love the story that Lisa Nicholls, the celebrated motivational speaker and the founder of Motivating the Masses, tells about the conversations she had with her son Jelani on his birthday every year. ‘Happy 6th Birthday Jelani, this is the first year I have been a mother of a 6-year-old so this year is going to be an experiment’. Next year ‘Happy 7th Birthday Jelani, this the first year I have been a mother of a 7-year-old and so this year is going to be an experiment….. and so it continues until Jelani turns 18 years and he turns to his mother on his birthday and says ‘ Yeah I know Mum, and this is the first year I have been 18 with you as my mother so it’s an experiment.’ So, if you have given birth to your business, let yourself off the hook and know that each year is an experiment, and the fabulous thing about having experiments is you find lots of different ways of getting it right by getting it wrong. One thing is certain when being an Entrepreneur, you have to learn to feel comfortable living with the unknown, enjoying the ability to navigate in unchartered waters. It means learning to trust your gut instinct more or as Oprah calls it ‘your spiritual GPS’. When Anthony Robbins tells us about the 6 Human Needs (Significance, Growth, Love and Connection and Contribution) he stresses that the ability to embrace Uncertainty as the only Certainty is one of the most powerful needs to embrace if you want to be master of your own destiny. Have you a regular negative internal critic and self-sabotaging beliefs that hold you back from achieving the results that you want? Do you find it difficult to get clarity on where you are heading and the motivation to take the necessary action? Do you have a hard time bouncing back after disappointments? Do you wish you could build your confidence and self-belief and learn to trust your ‘instincts’ more? And develop extreme resilience and make yourself ‘bulletproof’ and even more successful in all areas of your life? Plus learn a powerful toolkit to take control of your mind, therefore, your results? I inspire and empower SME’s and Entrepreneurs to clear the chaos of their mind, provide clarity and make transformational, sustainable changes that increase Personal Effectiveness and Business Results. My work has given me the fantastic opportunity to work both in Europe and Asia within all types of industries, including Barclays, Disney, Nestle Waters, BMW, MINI to name but a few. I’ve had to get out of my comfort zone countless times in both my work and in my personal life and along the way, I’ve learned about the power of resilience, courage and embracing discomfort as a prerequisite for success. I am passionate about helping others achieve greater success too which is why I started my own business, Butterflymango, in 2004. I am also a very proud mother of two young wonderful young children who give me immense joy and provide me with my most important learning at the same time.